I got to the four finalist in a design competition organized by Paulig. The idea was to design a new outfit for Paula girl who’s has been the face of Paulig for ages. 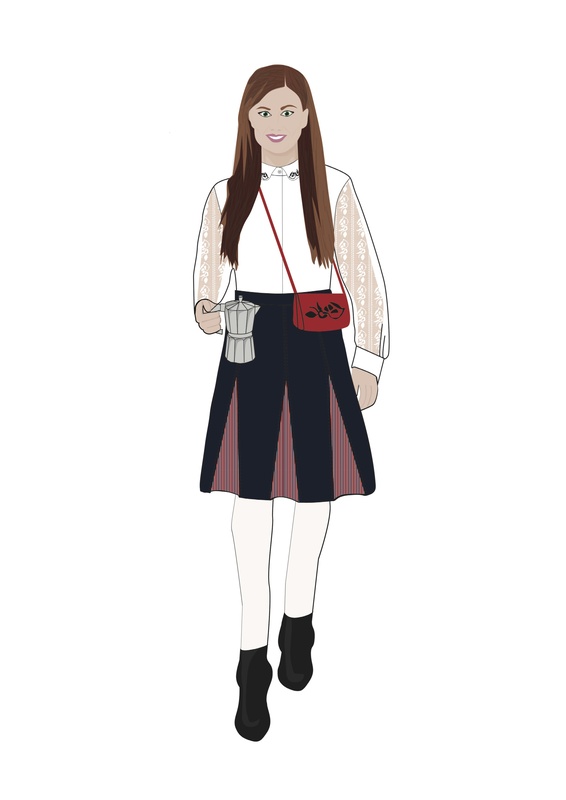 The starting point of a new style of Paula’s outfit was the preservation of traditions and highlighting fresh vibe. The attire is repeating a pattern of stylized Sääksmäki national dress floral pattern, which was a source of inspiration for the outfit. The outfit consist a shirt with embroidered collar and lace sleeves, a skirt made of wool blend and a handbag/clutch made of reindeer leather with a floral detail created with pyrography technique.